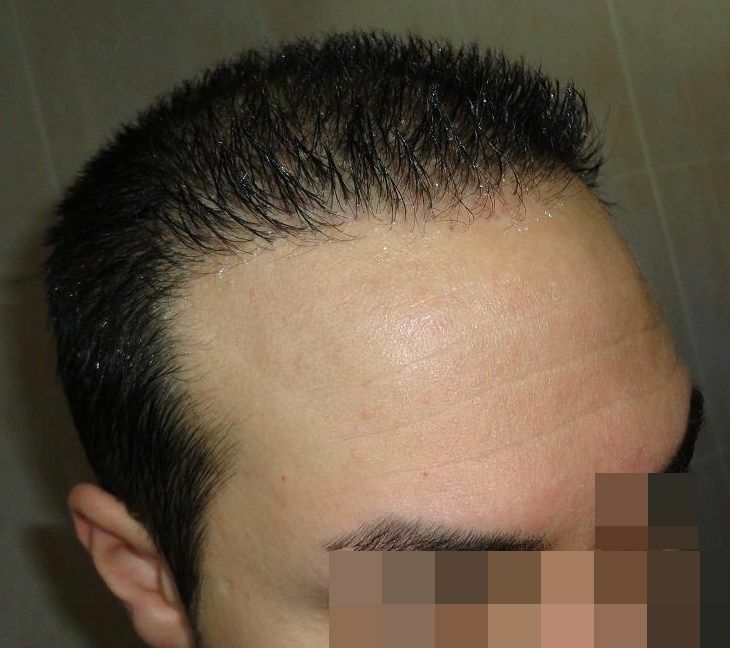 Our Patient had undergone 2 previous hair transplant procedures with other clinics. 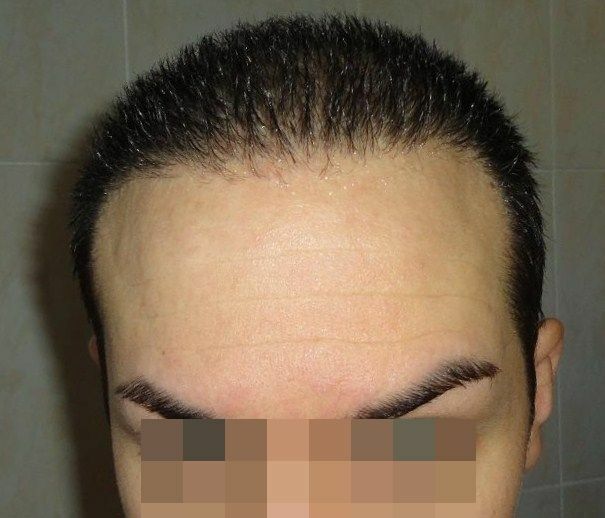 The first was to rebuild his hair line using FUT and the second was to refine the hair line and then increase the coverage behind the hair line, using 4000 FUE. The second procedure caused a great reduction in the density of his donor area and poor yield in the recipient area. We used 2716 grafts, a combination of 2056 FUT 660 FUE to refine the hair line and then improve his hair coverage in the central area. The combination was used to minimise any further changes in the donor area as the previous FUE had already over harvested and reduced the density to below average. I like the last pic with his hair cut very short, that’s probably the best look for him. 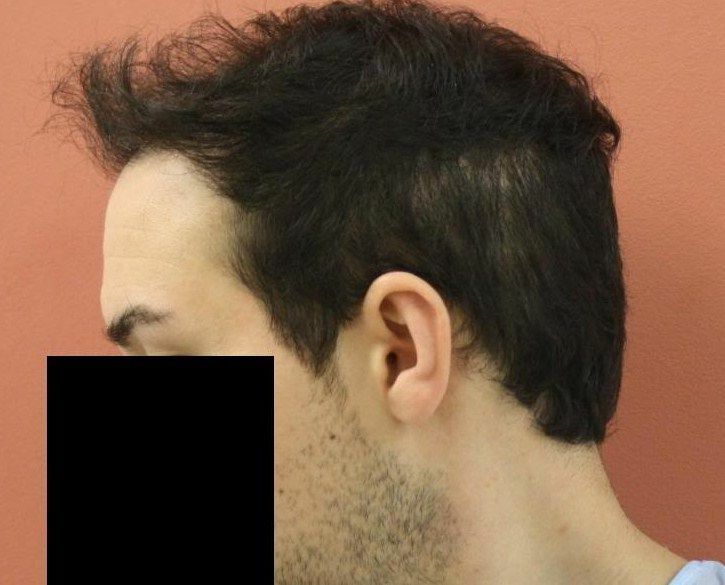 I can see the depleted donor especially on the sides, that is after how many grafts? 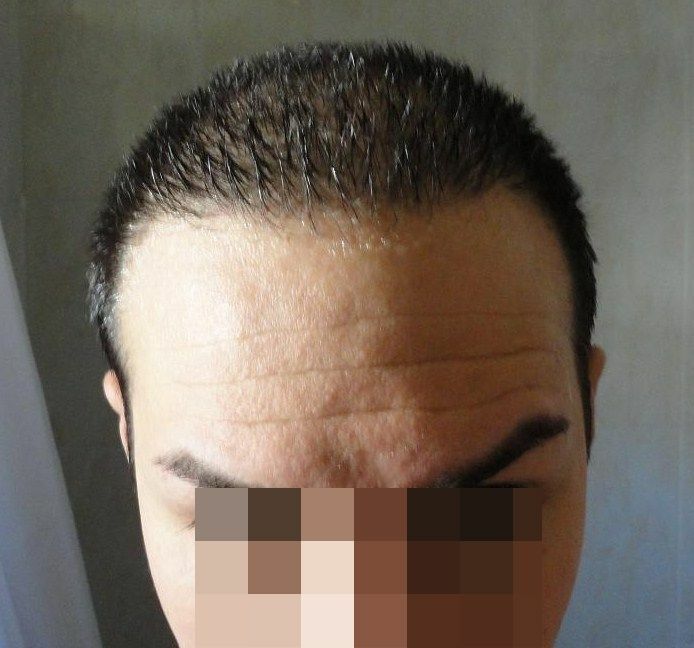 It looks very odd to have these bald patches showing up on your head, this is the first time I see that due to fue over harvesting. » » look for him. 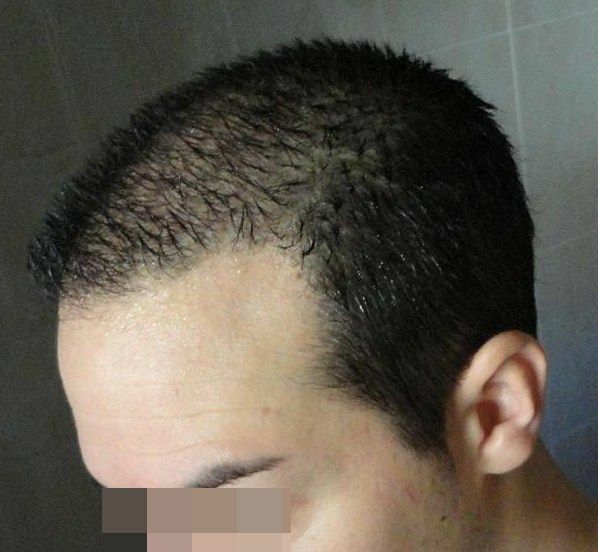 » your head, this is the first time I see that due to fue over harvesting. I don’t understand why, in the after pics, the donor looks quite resonable. OK it is shorter but looks thicker than in the pre HT. Also there is an impression of a red strip scar in the 9 month after pic. 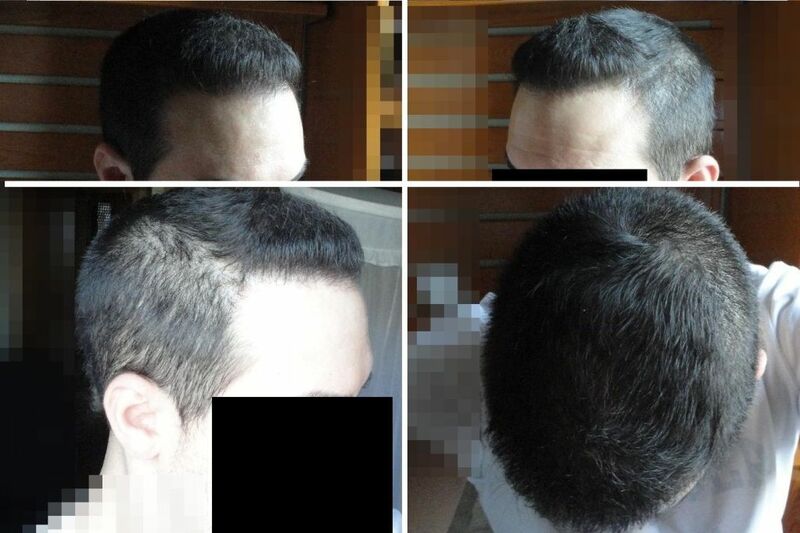 He had 4000 FUE in one op before our repair, the patient’s feelings are little grew from that procedure. 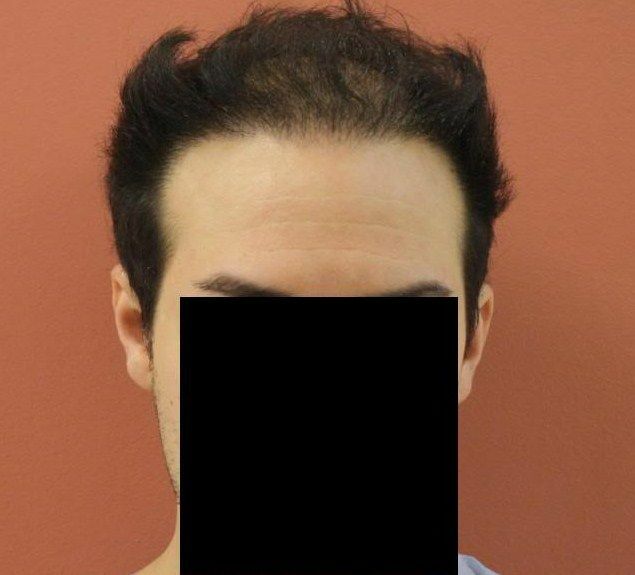 He was left with unevenness in his donor which is evident in the before pictures, due to over harvesting it reduced the density of FU in some areas considerably. 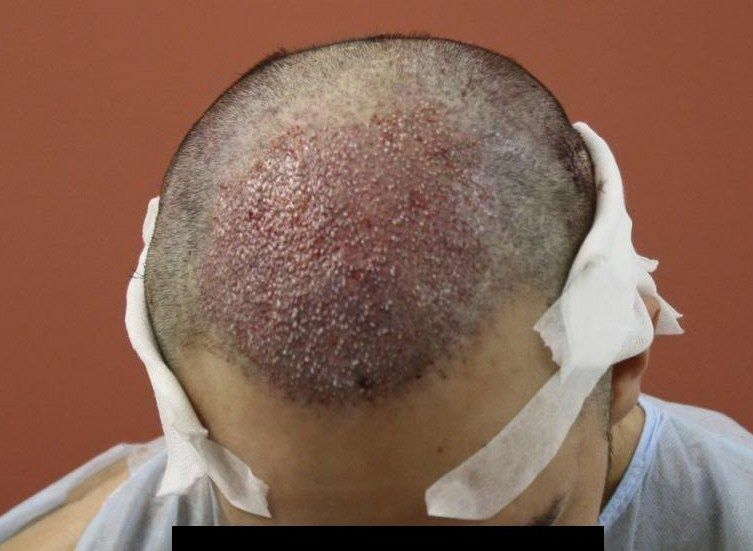 You are seeing the strip from the op we performed, still slightly pink, not uncommon at 9 months, infact I will post his 10 months pictures with short wet hair soon and you will see a big difference. 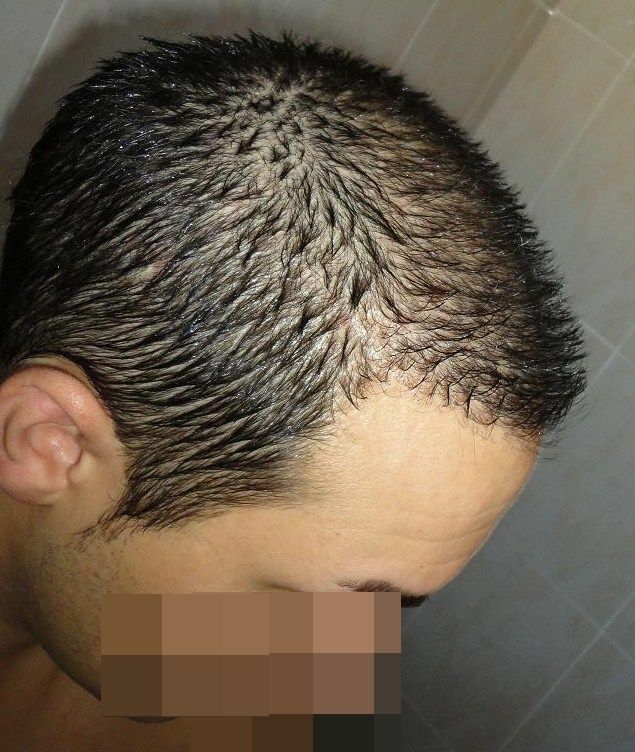 As for the donor density looking different when the hair is short and appearing worse when long it is almost the opposite to the basis of the HT and illusion of thickness, hair covering hair to block the light reflection off the scalp. 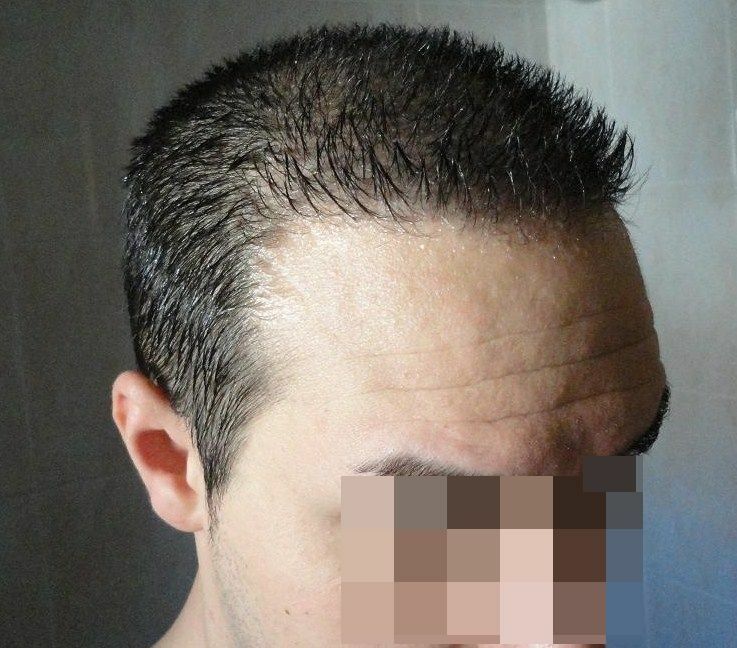 Many men keep their hair shorter when they start to lose their hair because shorter hair hides things like different calibre hair and can give a more even look to the head of hair, obviously only works in the earlier stages of thinning and when the hair actually stops growing it then becomes more obvious. When the hair is longer it shows up the differences in density and hair quality more, especially when over harvested in areas because the thickness/thinness variant is greater, when shorter it becomes less obvious. 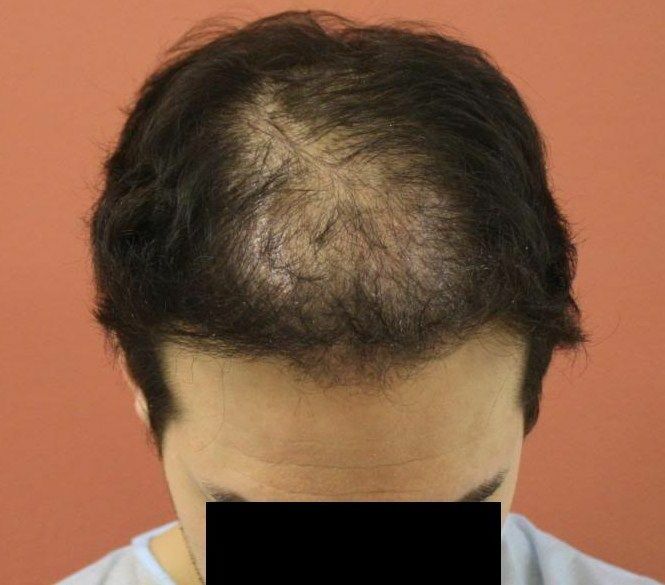 Just to add, in our opinion this does not mean if you intend to keep your hair very short a great deal more hair can be removed from the donor area with FUE, because long and short term it will create problems, miniaturisation, more potential for visible scarring etc. With careful harvesting it maybe possible on the the right candidate to remove slightly more but not to the extent the numbers are going to change dramatically. What clinic performed the 4,000 FUE before the patient came to Dr. Bisanga? I feel it’s equally important to share those results which are negative as those positive. Excellent work again by Dr. Bisanga. Rightly or wrongly it is not for us to say, our patient has allowed us to post his case but has asked us not to go into detail about his 2 previous ops. We have asked him if he would mind receiving an email from you and I’ll let you know when he replies. Thanks also for the comment about the case, he is obviously really happy with his result. Good result considering he would be bald by now if he hadnt had anything done. 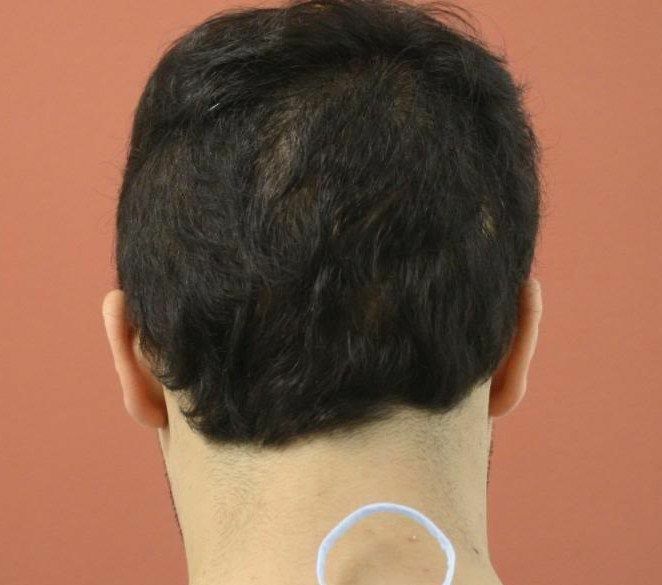 Even better results considering where the patient was prior to this procedure. 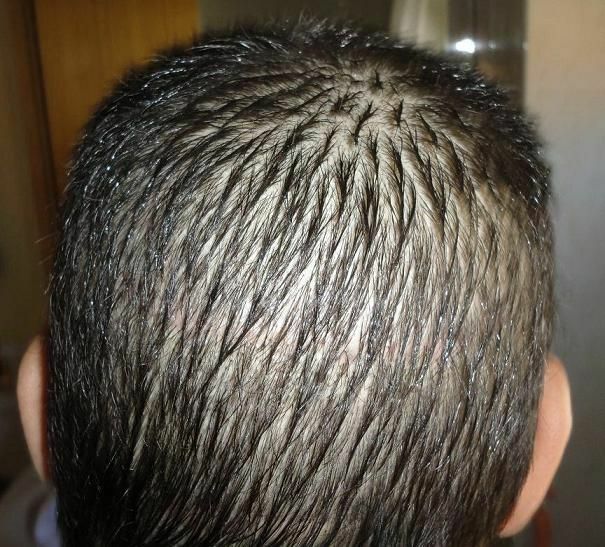 » What clinic performed the 4,000 FUE before the patient came to Dr. Bisanga? » Excellent work again by Dr. Bisanga. Thanks for all the positive comments, our patient is very happy to get to a situation he at is now from where he came from. 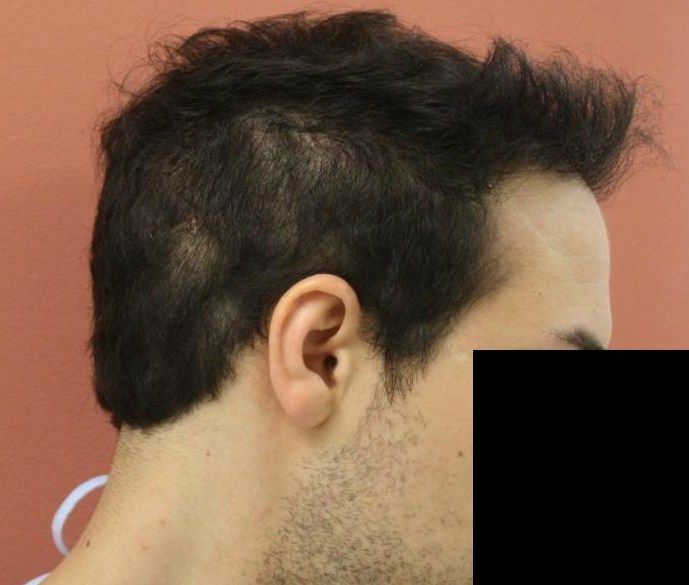 Also, I think it is important to consider that with repairs such as this combining the techniques, FUT and FUE can really give the patient other opportunities to harvest from their donor resources, and importantly give them options for the future without tapping the donor to excess. i bet you are a chick magnet. This is an excellent result. The patient must be delighted especially after having to have endured the previous unsuccessful procedures.